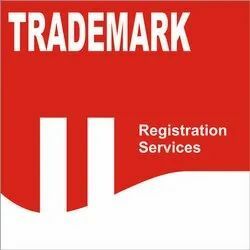 Prominent & Leading Consultants from New Delhi, we offer trademark registration consultants, trademark objection reply services, trademark renewal(s), trade license, trademark search services and trademark watching service. We are engaged in providing Trademark Registration Consultants services. If you plan to establish a business of your own and you have no idea where to start and what approval is needed, then the first thing you need to look is that –whether you want to deal in goods or services and secondly- what will be your place of business. After being clear about the above mentioned points, the next thing on your to-do list is getting a trade license. By the way of trade licenses, the government regulates any specific business in a specific locality. The Municipal Corporation of the place grants permission or license to carry on a particular trade in a particular locality. The trade license ensures adherence to relevant rules, standards and safety guidelines prevailing in the land. The registration of the business is important for giving it a legal identity of its own. It depends upon the promoter to decide upon the type of entity he wants to establish depending upon his business scale. However, it is mandatory for every entrepreneur to obtain the trade license before the commencement of any business activity. If any person is found conducting the business activity without obtaining the trade license, the business will be considered as illegal and heavy penalty may be levied upon the owner. When should Trade License be acquired? Every business entity planning to start its business operations shall be required to obtain the trade license within 15 days of the commencement of any activities. The activity consists of manufacture, exchange or even storage of any commodity. 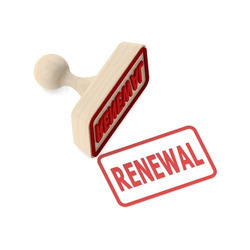 In some states it is mandatory to apply for the trade license 3 months prior to the commencement of any business activity. Generally, the state governments regulate the trade licenses in the state with the help of Municipal Corporations of the area. In some states, it is mandatory while it is optional in other states. The fees prescribed for the trade licenses also varies from one state to another. The manner of collection of the fees for trade license is also different. In some cities it is charged as the annual fees while in the other, it is calculated and charged on the basis of percentage of business turnover. Some states have exempted certain departments from getting a trade license, eg. MSME in Delhi. The individual applying for trade license must be atleast 18 years of age. Although it is not mandatory, but it is highly recommended to conduct a trademark search before filing for a trademark registration application to ensure that there is not a prior existing mark similar to yours that could prevent your mark obtaining registration. It is also useful for you to know whether there are similar marks in the marketplace. 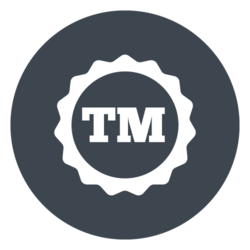 Our firm has made unbelievable breakthrough in the providing Trademark LOGO Registration Services.Attributed for its flexibility and reliability, these services are broadly demanded. Clients can acquire these services at most affordable rates. Our firm has made unbelievable breakthrough in the providing Product and Service Trademark Registration Services.Attributed for its flexibility and reliability, these services are broadly demanded. Clients can acquire these services at most affordable rates. Our firm has made unbelievable breakthrough in the providing Pharma Trademark Registration Services.Attributed for its flexibility and reliability, these services are broadly demanded. Clients can acquire these services at most affordable rates. Our firm has made unbelievable breakthrough in the providing Trademark Prosecution Watch.Attributed for its flexibility and reliability, these services are broadly demanded. Clients can acquire these services at most affordable rates. Our firm has made unbelievable breakthrough in the providing Trademark Protection.Attributed for its flexibility and reliability, these services are broadly demanded. Clients can acquire these services at most affordable rates. 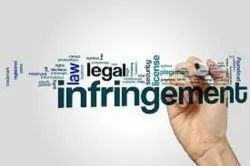 Our firm has made unbelievable breakthrough in the providing Trademark Infringement Monitoring Services.Attributed for its flexibility and reliability, these services are broadly demanded. Clients can acquire these services at most affordable rates. Our firm has made unbelievable breakthrough in the providing Trademark Reply to Examination Services.Attributed for its flexibility and reliability, these services are broadly demanded. Clients can acquire these services at most affordable rates. Our firm has made unbelievable breakthrough in the providing Trademark Classification Services.Attributed for its flexibility and reliability, these services are broadly demanded. Clients can acquire these services at most affordable rates.